Create your masterpiece artwork using the CyberTablet T22HD’s 2048 levels of pressure sensitivity which can imitate the subtleties of a brush stroke or a pencil. The CyberTablet T22HD also offers 5080 LPI resolution and 133 RPS report rate, providing a quick response. The Adesso Cybertablet T22HD Tablet Monitor applies a new mirror design with smooth, quiet and graceful 16MS TFT LCD panels. The 21.5-inch display has a resolution of 1980 x 1080 with excellent brightness, high contrast, adjustable angles, and low power consumption. 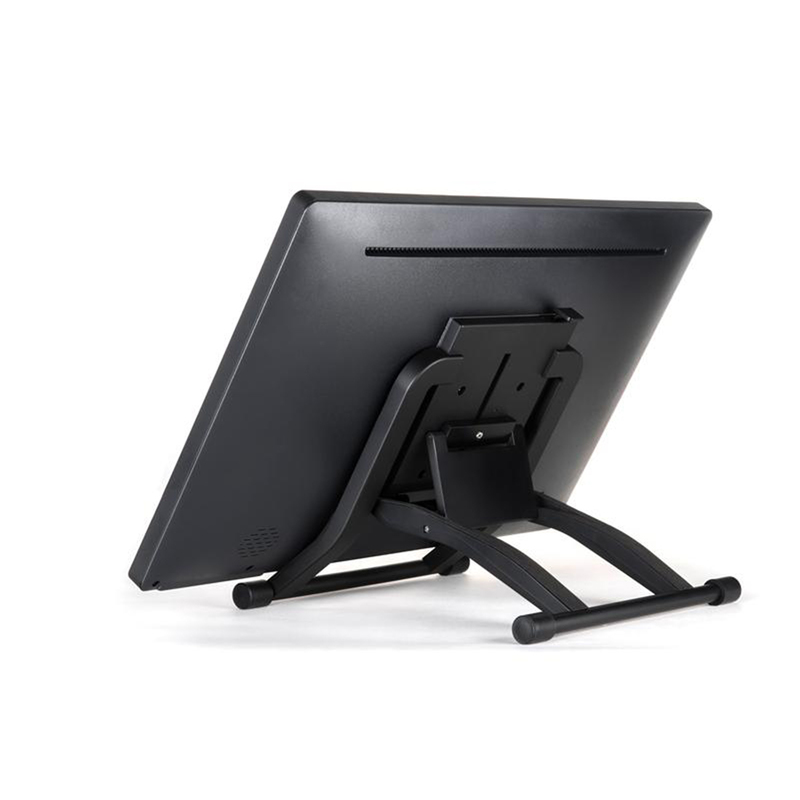 Enjoy your tablet monitor at every angle possible with the adjustable stand that allows for up- close and detailed drawing, and flexibility for your angled preference. 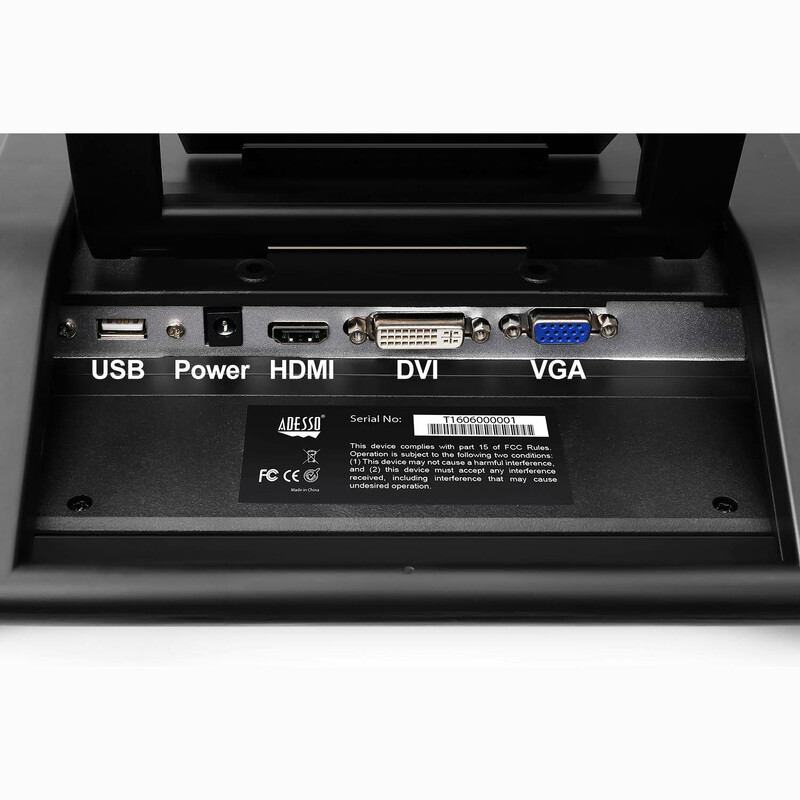 The Cybertabler T22HD Tablet Monitor is FULL HD and with its 1900 x 1080 screen resolution, anything that is shown through its 21.5 inch screen will seem life-like. 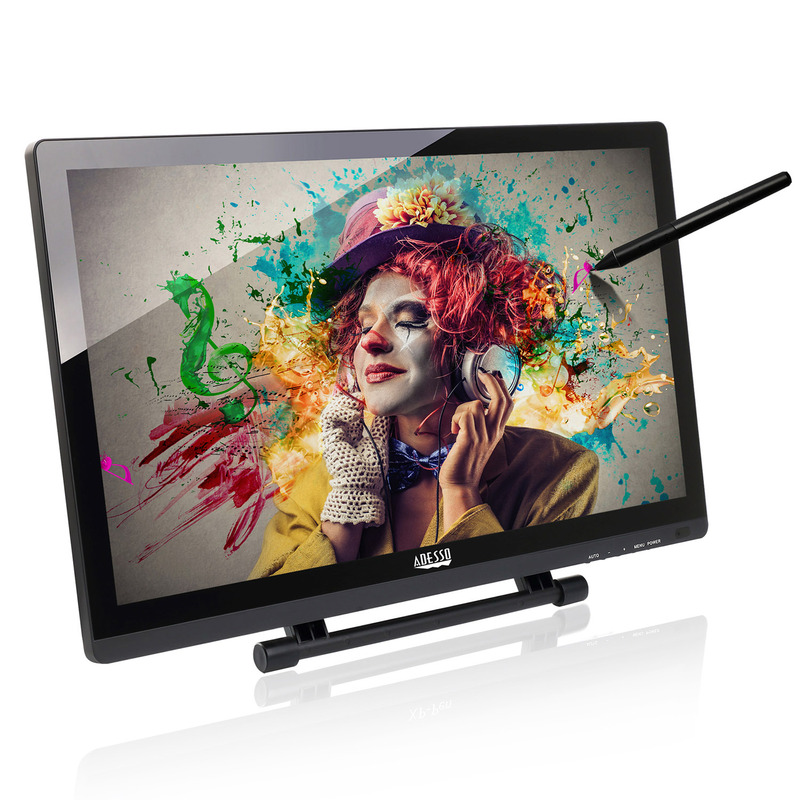 Enjoy stunning images, with incredible detail through a Tablet monitor that delivers a crisp high quality 4 million pixel images. 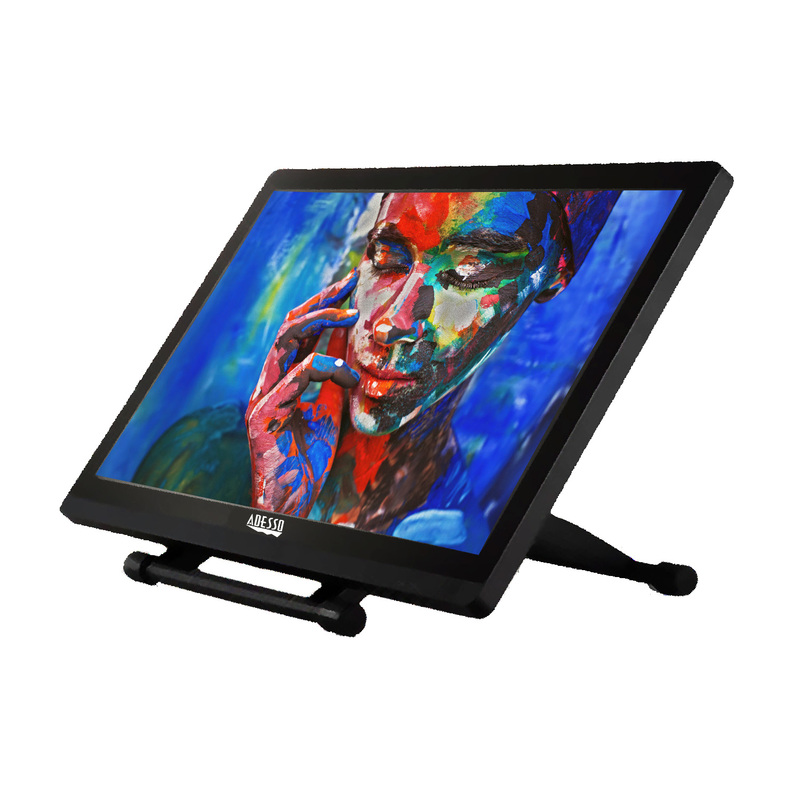 The Adesso Cybertablet T22HD Tablet Monitor features high definition, high resolution and brings you brand new visual experience in HD quality. 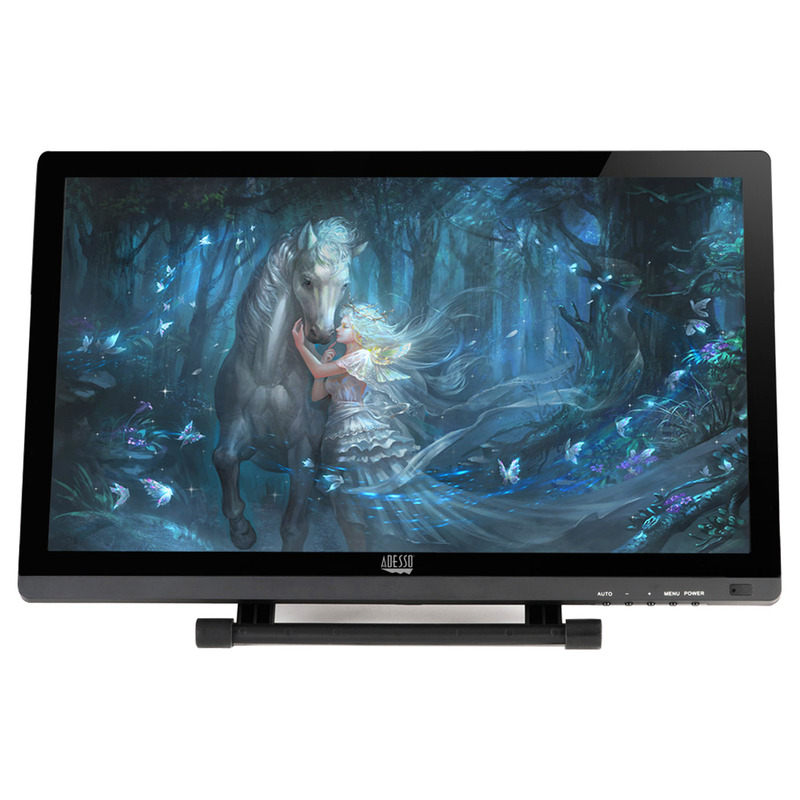 It integrates an HD screen of 1980 x 1080 pixels with built in pen pressure technology of 2048 levels of pressure sensitivity. Simply connect the Cybertablet T22HD to your computer or notebook, and with the digital stylus pen, drawing is as smooth and as easy as if you were using a pencil and paper. 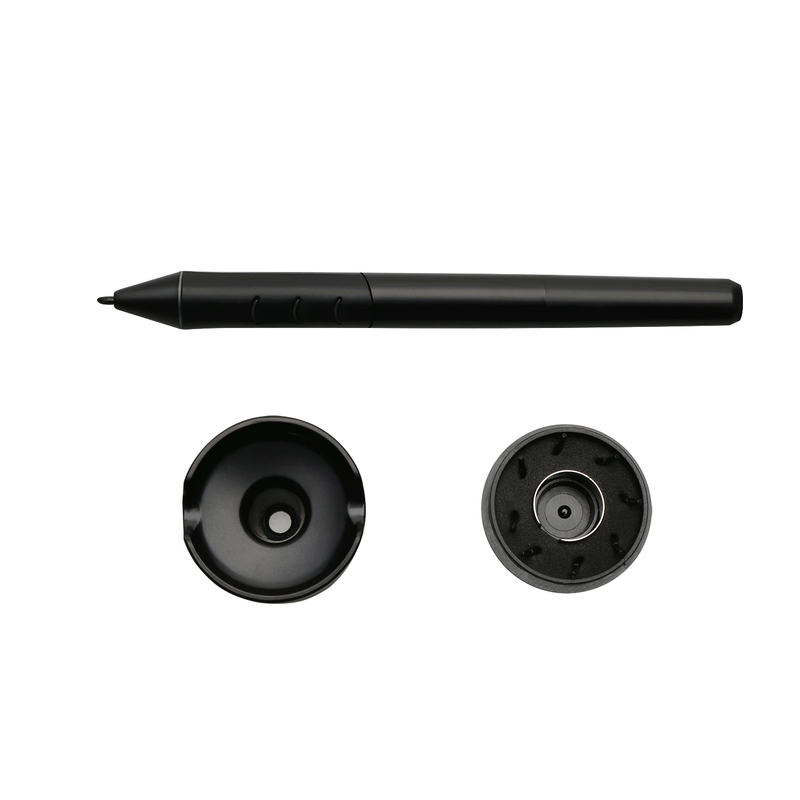 The tablet’s stylus pen also acts as a mouse for easy navigation while you create or edit photos. The Adesso Cybertablet T22HD can be used in a classroom as a great visual teaching tool, or as a high end, high quality graphic tablet. 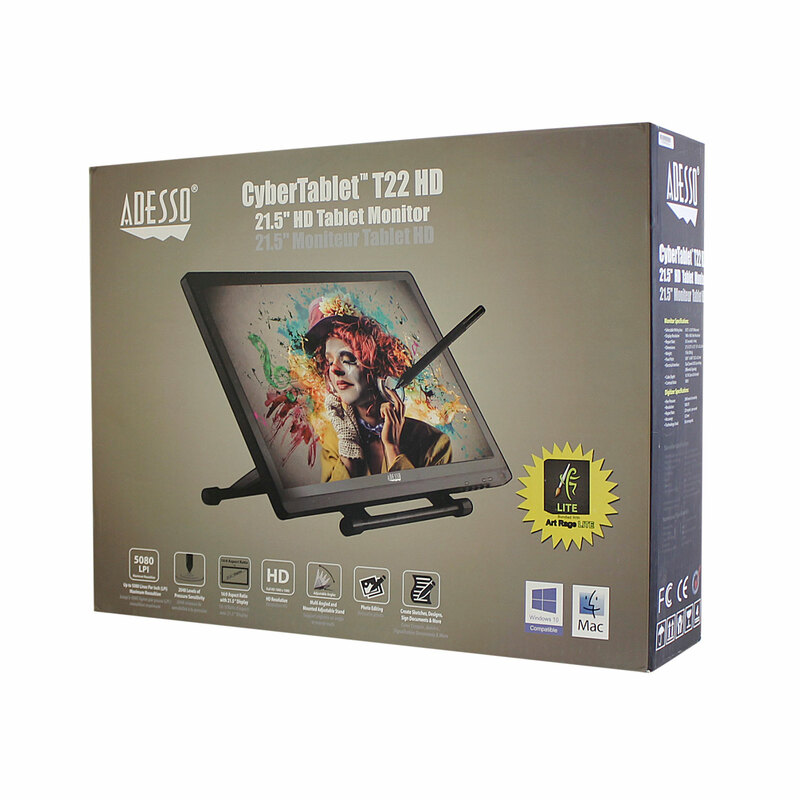 Whether as a graphic tablet, or just an HD monitor, you will start to see things a lot clearer with the Adesso Cybertablet T22HD.